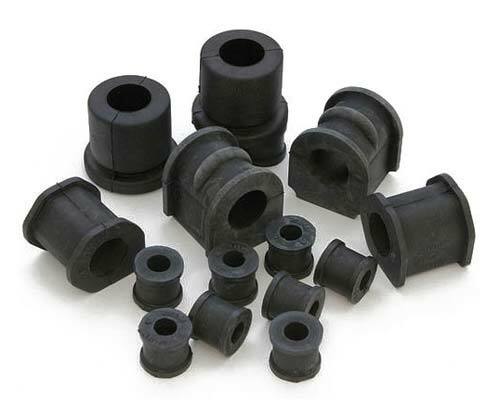 We bring forth precision-engineered Rubber Bushes. Rubber Bushes consist of a rubber cylinder bonded on their outer and there are inner surfaces to rigid metal layers. Rubber Bushes are widely used as engineering components and designed to take up torsional movement, axial and radial load and conical deflection. The Rubber Bushes are used in various applications in engineering and automobile industries.